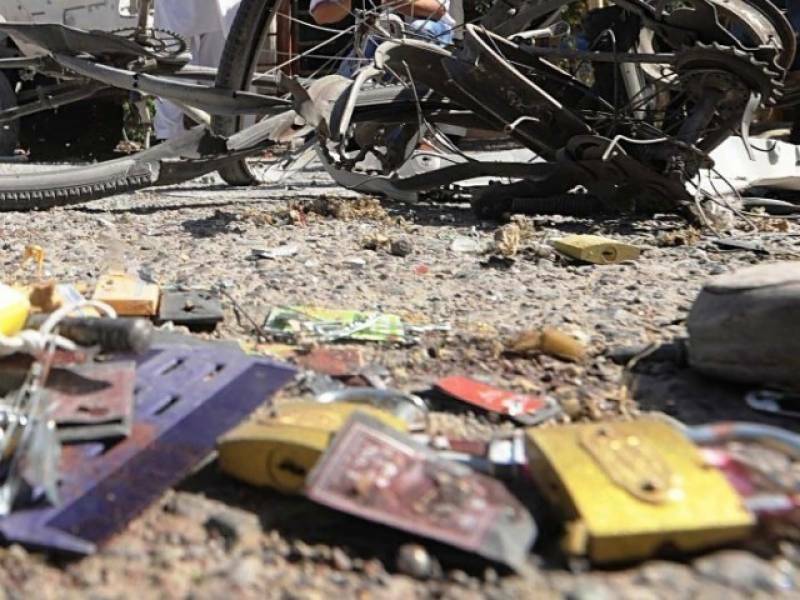 Two security men were injured in a roadside explosion in Quetta, on Sunday morning. According to details, a roadside bomb planted at Margit area exploded due to which two frontier constabulary men sustained injuries. The wounded security men were rushed to a medical facility for immediate treatment. Security sources stated that the blast took place when the FC convoy was near the area. The area was cordoned off by the security teams immediately after the explosion. In another event, unidentified assailants shot dead a political secretary and his security guard in Kurram Agency, on Sunday, political administration officials said. The officials stated that when the suspects opened fire and killed them, Secretary Sarfraz Hussain and his guard were travelling in a vehicle, in Kurram Agency’s Walicheena area. Officials of the political administration and security forces surrounded the area following the incident. Bodies of both the victims were transferred to Kurram headquarter hospital. A few weeks ago, two census workers were injured along with nine others when the van in which they were travelling hit a landmine in Godar area of Kurram Agency. In the same incident, 14 others were killed, including five women and four children. While the banned extremist group Lashkar-i-Jhangvi claimed responsibility for the incident, the political administration said it was a matter of personal enmity. The administration also announced to have arrested a person in connection with the double murder.